Snow is finally here in Vail! We finally have some amazing snow here in Vail. The season has officially begun and we are so happy to have the Valley covered in our favorite fluffy white stuff! The mid mountain base is at 35 inches and we have had 15 new inches fall in the last seven days. 4,437 of 5,289 skiable acres are open and 27 of 31 lifts are running. China Bowl, Siberia Bowl, Sun Down Bowl, Sun Up Bowl, and Blue Sky Basin are all open, gorgeous, and ready to be skied! We are expecting more snow this week so get ready and head to Vail for the most amazing snow experience of your life! Read more about Snow is finally here in Vail! Stunning new construction mountain contemporary home located in Booth Creek, just minutes to the heart of Vail Village and the Gold Peak ski lift. This home features soaring, vanishing walls of windows with views capturing the surrounding mountains and mature aspen groves. With 5 bedrooms and 6 bathrooms, complete with the space available for an office or gym, this gorgeous home has room for the whole family. Other unique features include custom glass encased stair tower. At just under $2.5 million, this new home will not last long and is a must see! For more information on this home or property in Vail, please contact me. Vail Resorts' groundbreaking app EpicMix revolutionized the way we ski last season by giving skiers the ability to explore their on-mountain experience by tracking vertical feet and days skied and share it. This year, the innovative app is adding another key functionality that is central to the social media world--photo capabilities--making it even easier to share your experience skiing or boarding with your friends and family. This season, hundreds of EpicMix photographers have been hired to be on the mountain capturing photos that will be added to the skier's EpicMix account by a quick scan of their lift ticket or season pass. Skiers are able to combine their own photos with stats and pins on the EpicMix site where they can create a "Remix" collage of their experience. So next time your friends question how much air you really got for your backside rodeo in the half-pipe, just pull up an EpicMix professional action shot and you'll have the last laugh. Amazing Skiing in Vail, CO With Almost 4 Feet of Fresh Snow! Click here for Vail and Beaver Ceek Snow reports! Weeks like this are what keep people living here and keep vacationers coming back year after year.? It only takes one week like this to make you a powder junkie for life.?? And I haven't even skied this week!? It's a very strange feeling seeing everyone?I know smiling and exhausted, ?talking about their powder days, when I haven't even been up.? Read more about Amazing Skiing in Vail, CO With Almost 4 Feet of Fresh Snow! Vail Epic Pass Back For Season 2010-2011! Read more about Vail Epic Pass Back For Season 2010-2011! The Vail Ski Mountain Opens tomorrow, November 20th and it is time to become a member of the Vail Mountain Club, Vail's premier ski club that sits at the base of the ski mountain and the heart of Vail Village. Each member boasts their own locker, the option to store 4 pairs of skis with the ski valet, breakfast, a full bar, concierge, a spa and fitness center, heated pool and hot tub, outdoor decks with fireplaces and firepit, a social calendar, and valet services. Arrowhead at Vail is the ultimate mountain community. Featuring world-class golf, skiiing, amenities, and homes, this beautiful Vail valley neighborhood is simply perfect. 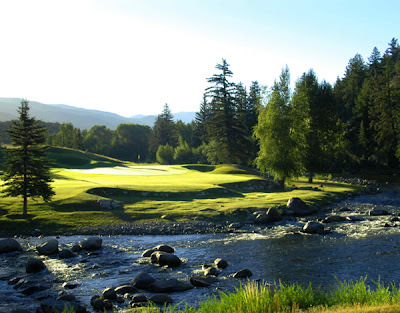 Country Club of the Rockies is a maintained Jack Nicklaus Signature course nestled among Colorado mountain peaks and the stunning Eagle River. It is member-owned and award-winning.? Vail and Beaver Creek Get Feet of New Snow!! Spring is here; and apparently that means FEET of new snow!? Both Vail and Beaver Creek are reporting mulitple feet of new powder over the last few days!? The warm weather we had been receiving has given way to a great spring storm.? Locals are saying its some of the best skiing we've had all year! Vail is reporting around 3 feet over the past week, and Beaver Creek is reporting about 2.5 feet, with a bit more expected today and tomorrow.? After an excellent December and?January, February and most of March had been dry.? This recent dumping has put smiles back on the faces of skiers and snowboarders, many of whom are here for spring break!? I've heard of a few mountian bike trips, that were scheduled for the weekend, being postponed so everyone could go out and enjoy the mountain's new snow.? The warm spring weather will be back soon, but for now, go get?a powder day! Keep doing your snow dance and get out there and enjoy! Read more about Vail and Beaver Creek Get Feet of New Snow! !